An accident on Route 3 involving an Illinois motorist this week has highlighted the dangers of driving under the influence of alcohol and the potential such behavior has to cause life-altering harm to everyone on the open road. A 44-year-old resident of Wheeling, Illinois was driving his 2011 Hyundai when he entered into a dispute with a passenger inside his vehicle. Soon after, the driver flipped the car, ultimately coming to rest upside down in a ditch near the Belmont-Morill border. According to representatives of the Waldo County Sheriff’s Office, a deputy responded to the accident and conducted an immediate investigation. On the scene, the driver was arrested and ultimately charged with operating under the influence of alcohol. The Illinois man was then taken to Belfast for booking into the Waldo County Jail. In addition to frequently injuring themselves, drunk drivers often leave numerous innocent victims in their wake who suffer life-changing harm as a result of reckless, entirely preventable behavior. In 2012 alone, Maine experienced an increase of 113% in the tally of fatalities attributable to drunk driving. This figure represented 30% of all roadway deaths in that year. The true magnitude of the threat to everyone who uses Maine’s roadways cannot be overstated. At Hardy, Wolf and Downing, we have seen first-hand the devastation entire families experience when a drunk driver seriously injures or kills a loved one. That is why we are committed to providing victims with an unsurpassed level of client service and fighting for every dollar of available compensation. News reports often detail the numerous criminal penalties to which drunk drivers can be subjected, and sanctions of that type are indeed useful deterrents to the recklessness of operating under the influence of alcohol. Those convicted of getting behind the wheel while drunk can face lengthy jail sentences, substantial fines, the loss of driving privileges and more. Many also lose their jobs and even professional licenses as a result of their conduct. However serious these consequences are, there are other remedies of which victims may take advantage in order to exact justice. Individuals who have suffered lasting physical and emotional harm due to the actions of a drunk driver are afforded the option of pursuing financial compensation for the damage done. 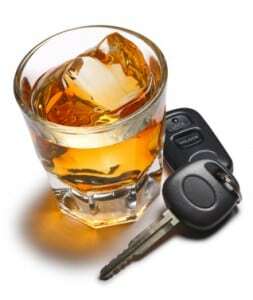 Maine courts often impose restitution requirements to compensate drunk driving victims, but the court-ordered amounts are not always sufficient to provide full coverage of losses and damages. The Maine OUI accident lawyers of Hardy, Wolf & Downing have the experience and knowledge necessary to aid victims in determining whether they can seek additional financial recovery, in assessing how much money might be available and crafting the most effective strategy for achieving a desirable outcome. Our expansive network of case investigators, researchers, economic loss analysts and medical experts will work collaboratively to build the strongest case possible on behalf of every client we serve. If you or a loved one have had the misfortune of being seriously injured or killed by a drunk driver, we understand that you may be feeling angry, confused and unsure how to proceed. The Maine car accident lawyers of Hardy, Wolf & Downing want you to know that seasoned, skilled assistance is available now. To schedule a no-cost consultation to discuss the facts of your injury and to explore available avenues for legal recourse, contact us at 1-800-INJURED. Remember, we are paid no fees unless and until a favorable outcome is achieved on your behalf.